Dr Tan Meng Yoe is a lecturer of communication and the Master in Communications and Media Studies coordinator at Monash University Malaysia. His research expertise is in the field of online religion, with related interests in politics and religion in Malaysia. He completed his PhD with Monash University Malaysia in 2013 after being awarded the Higher Degree by Research Scholarship in 2010. His thesis, The Digital Church: Urban Malaysian Christian Experiences in Cyberspace, was on the subject of online Christianity in Malaysia. 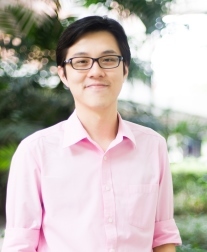 He is the co-founder of the Southeast Asia Internet Researchers Network (SEAIRN), a platform established in 2016 to bring together researchers of the internet in the region for networking and research collaborations. This initiative was following the inaugural Internet in Southeast Asia: Power and Society symposium, in which he served as co-chair. Dr Tan Meng Yoe’s ongoing research is a study on how internet practices shape religious and political communication among Malaysians in individual, institutional, and national socio-political contexts. More broadly, he is curious about the concept of “reality” in cyberspace, and whether spirituality can be experienced online. He has studied blogging as expression and experience of spirituality; inter/intra-religious engagement and structures of religious communities in Malaysian social-media spaces, and more. He is currently researching migrant use and experiences of the internet for spiritual development. He is also active in researching the role of the media in political communication in Malaysia, having recently completely a study of political representation in mainstream newspapers in the 14th Malaysian General Elections. This project looks at how non-Malaysians who are Christians and living in Malaysia utilise the internet for religious purposes, be it looking for Christian content, staying in touch with the church community from the home country, looking for new networks in Malaysia, and more. The project studies how these online activities may play a part in the continuing development of one’s Christian faith in a foreign land. This study focuses on the of representation of political parties in the mainstream media during Malaysia’s 14th general elections. The study was conducted on the print versions of Malaysia’s four English and Malay language newspapers over the eleven-day campaign period. The analysis focuses on the frequency of coverage of the various political parties/coalitions; how they are framed, and the core issues raised in the lead-up to the election. The primary objective of this research project is to examine the ways in which social media serves as a platform for inter-religious engagement in Malaysia. This project also looks at how socio-political issues in Malaysia are presented in social media groups, and how dissent and ideologically authority is established in an online community. My interest is in how Malaysian Christian communities organize in an online environment, and what sort of interactions take place in these spaces. It involved researching social networking sites, like Facebook, where communities of like-minded believers are gathered easily to share content, express their beliefs, and develop social ties over time. Dr Tan Meng Yoe engages in the development of education innovations through his participation in the Active Learning Taskforce on campus, which plans the development of new learning spaces that are suitable to the fast evolving education environment. In the classroom, he has successfully integrated active learning, innovative use of technology, and old-fashioned teaching into his curriculum. He has also participated in the popular “In Search Of...” study trips around Southeast Asia that promotes cultural learning and application of skills among students. He is also actively involved in education research. Along with three other researchers, we received two research grants from the Monash University Malaysia Better Learning Better Teaching (BTBL) initiative and the Monash Education Academy to conduct a campus wide study on student and teacher expectations on assessment support and feedback. It is their hope that this study will enhance education experience of both teachers and students alike. Tan, M.Y. (2014) “Malaysian Christians Online: Online/Offline Networks of Everyday Religion”, in Maj, Anna (ed) Post-Privacy Culture: Gaining Social power in Cyber-Democracy, Inter-disciplinary Press, Oxford. Tan, M.Y. (2013) “Malaysian Christians Online: Online/Offline Spiritual Interactions and Integration”, in Maj, Anna (editor) Cyberculture Now: Social and Communication Behaviours on the Web, Inter-disciplinary Press, Oxford. Tan, M.Y. (2012) “Negotiating the Liberties and Boundaries of Malaysian Online Christianity: Case Studies”, in Hopkins, Julian and Julian Lee (editors), Thinking Through Malaysia: Culture and Identity in the 21st Century, SIRD Publications, Puchong. Tan, M.Y. (2012) “Malaysian Christianity and New Media: Evaluating Freedom of Expression”, in Mohd Hazim Shah and Saliha Hassan (editors), Proceedings of the 8th International Malaysian Studies Conference: Transition and Transformation – State, Market, and Culture in a Period of Rapid Change, Malaysian Social Science Association, Malaysia. Tan, M.Y. (2007) “Reality and Subjectivity: Digital Films as Cyborg Texts in a Post-Modern World”, in Hoofd, Ingrid Maria, Tan, Margaret, and Katharine Ho Kit Ying (editors), Proceedings of ISEA 2008: 14th International Symposium of Electronic Arts, ISEA2008, Singapore. Dr Tan’s area of supervision is in the area of communication and media studies. He is particularly interested in internet studies in relation to religion, politics, Malaysian studies, or other sub-field within the scope of media and communications.